Hello and Happy Sunday! 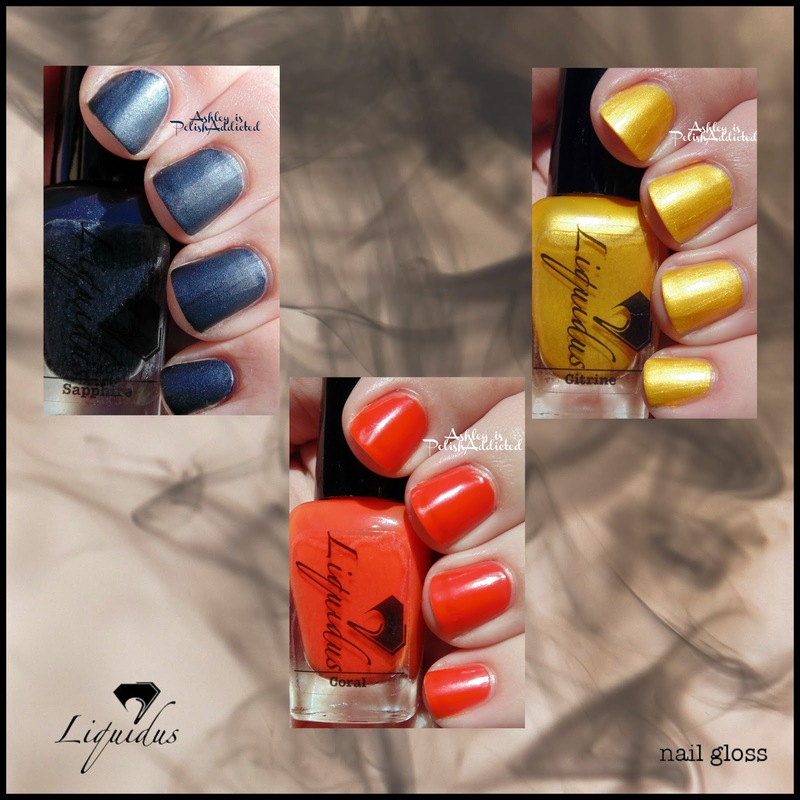 Today I'm going to be showing you a brand new collection from Liquidus Nail Gloss that just launched last week! I also have a sale code to offer my readers for the next 2 weeks thanks to the lovely Danielle from Liquidus Nail Gloss! Stay tuned to the end of the post for the code! Hello! 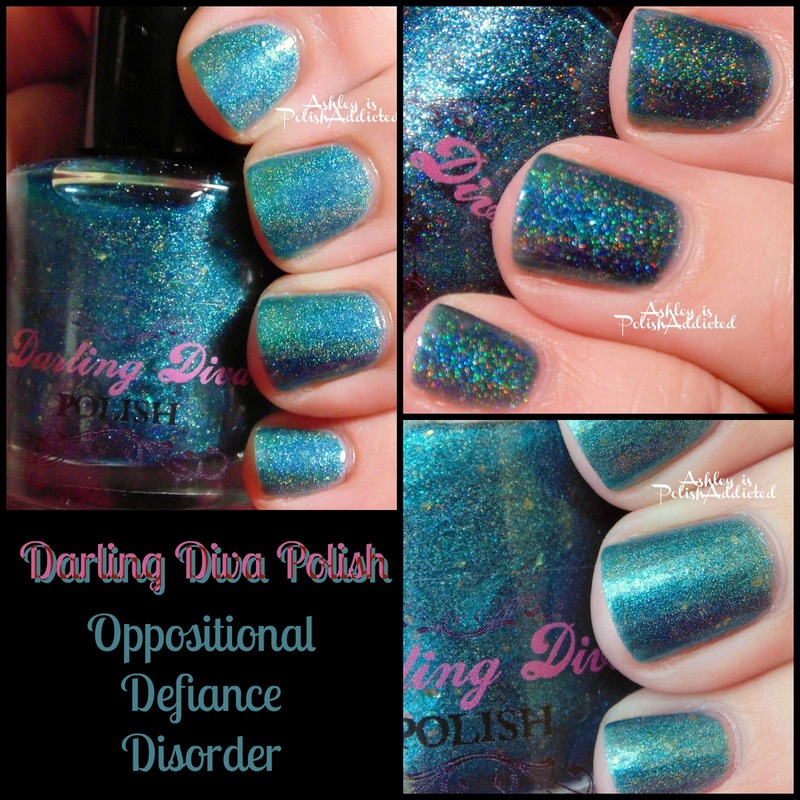 I have a beautiful Darling Diva Polish to share with you today! This one is called Oppositional Defiance Disorder. This one was a limited edition and, unfortunately, is no longer available but it was too pretty not to share! I have something exciting to share with you tonight! 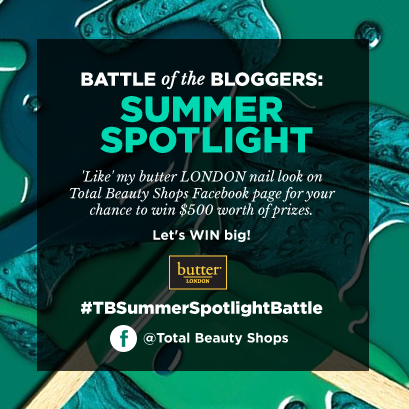 I am participating in Total Beauty Shops' Battle of the Bloggers: Summer Spotlight! 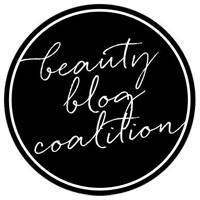 I am one of seven bloggers participating in this nail art contest and giveaway! By voting you could win $500 worth of prizes! 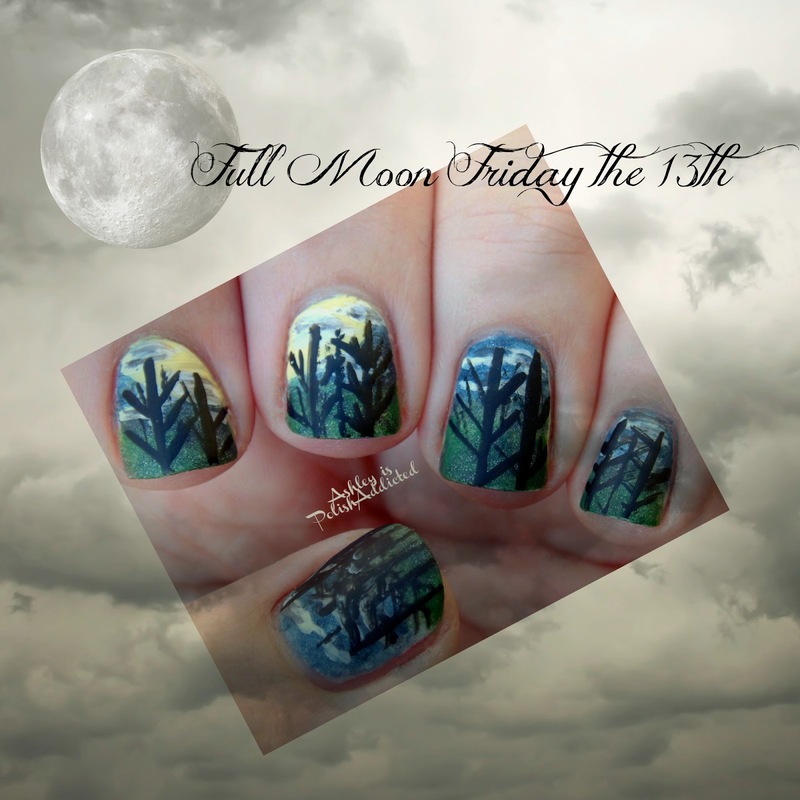 Full Moon Friday the 13th ! If you are a blogger and would like to join in on this you can get the code for the inLinkz here. If you are not a blogger but still want to join in feel free to share your mani on my Facebook page or tag me on Instagram at @ashpolishaddict! Good evening! I showed you the Tickled Collection nearly a month ago and then life got in the way (again), so I am here tonight to finally show you the Bubbly Collection! This is the Tickled Collection's sparkly sister! Hello lovelies! I have a gorgeous collection from Darling Diva Polish to show you today! The I Hate Pink Collection is made up of 5 varying shades of pink and they are stunning! If you've been following my blog for very long you know that I'm not a huge fan of pink but I love all of these! Happy Sunday! It has been way too long since I've been around here and I am going to try to fix that! 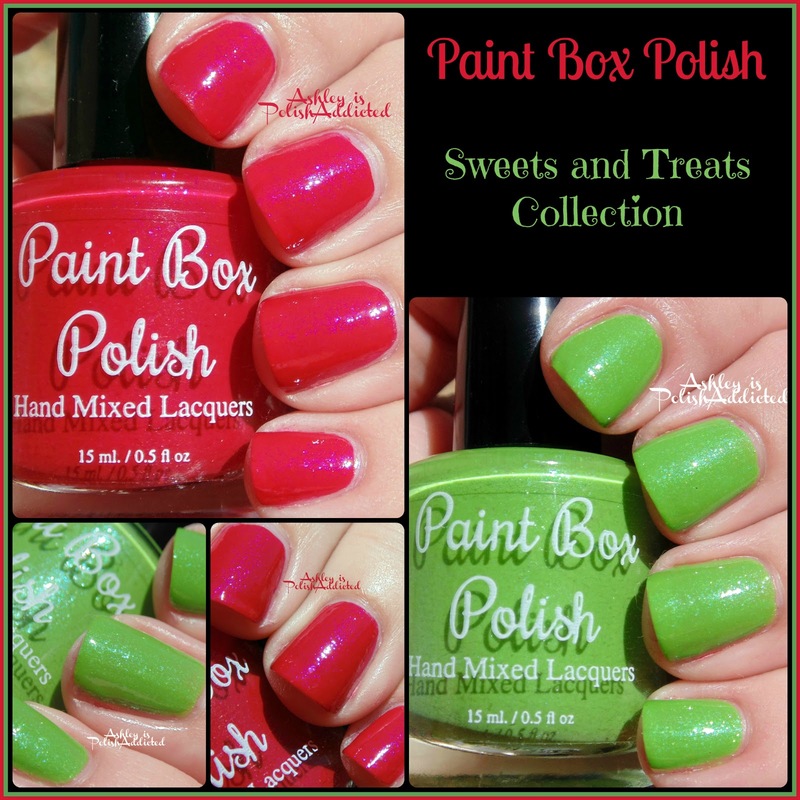 Today I have part of the Sweets and Treats Collection from Paint Box Polish to show you, along with a review of her cuticle oil! To celebrate the launch of this collection Paint Box Polish has been so kind as to give 20% off for the entire month of June! Just use code ADDICTED to receive 20% off your entire order through June 30th!